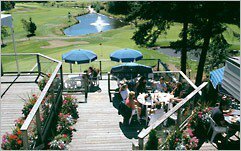 Designed by renowned course architect Les Furber and voted 1999 BCPGA Facility of the Year, the Fairwinds Golf Club has established itself as one of Vancouver Island’s finest courses. 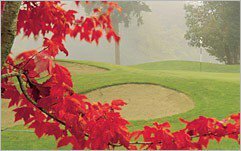 Play on lush, manicured fairways lined by towering fir, gary oak and arbutus trees. Challenge yourself against the more than 70 sand bunkers that guard our immaculate, contoured greens. Here at Fairwinds, spectacular ocean views, abundant wildlife and pristine natural surroundings combine for an unforgettable golfing experience. Fairwinds Golf Club is often referred to as a “thinking golfers” course. Sound course management will reward you on this challenging layout. Low handicappers will be consistently tested by the hidden nuances of our Les Furber greens, while the weekend warrior may discover unimagined birdie opportunities. The natural beauty of Fairwinds will change your state of mind – and possibly your state of play. That’s why the “perfect” round of golf is always available at Fairwinds Golf Club. Fairwinds Golf Club is not yet in our pool of Golf Courses for orders.